WASHINGTON — The temperatures are cooling, the leaves are changing, and out at the vineyards, it’s harvest time. If you’re planning a day of local wine tasting and touring, Washington Post wine columnist Dave McIntyre said there’s never been a better time. “I think it’s very exciting right now to be a wine lover in the Washington, Virginia and Maryland area. The industry has been expanding so rapidly over the last 15 years, and the quality has gone up, but also the experiences,” McIntyre said. With more than 250 wineries in Virginia and roughly 75 in Maryland, there is no shortage of options for where to start. McIntyre shared some of his favorites to fit all types of itineraries. “It’s so much fun to take a weekend drive out to Loudoun County or farther south down to Charlottesville — even toward Frederick into the South Mountain area in Maryland — and see the scenery, taste some wines and sort of just get away from the city for a while,” McIntyre said. Before you head out to attend a tasting or two, it’s good to know what wines are excelling in the area. McIntyre said cabernet franc and viognier are the trademark varietals that helped Virginia build its reputation. However, blends are on the rise. Another grape to keep an eye out for is petit manseng, which McIntyre said is pretty rare. In Southwest France, the grape is blended with other wines, but Virginia is letting it shine on its own. “And what you get is a nice sort of floral, aromatic wine that can be either dry or sweet,” McIntyre said. Depending on the flavor profile you prefer, taste around and you’re sure to find one you like. Who’s making the best wine? Virginia’s reputation for wine is growing, both nationally and internationally, and a number of winemakers are helping to usher in that recognition. McIntyre points to Linden Vineyards, Glen Manor Vineyards and Delaplane Cellars as some of the best wine producers in the area. The appointment-only vineyard, RdV, is also at the top of that list. “They are really going all out to make the best wine that they can at that site in Northern Virginia, and they have helped raise the bar for Virginia wine and the reputation around the world,” McIntyre said about RdV. Of course, quality isn’t the only thing people look for when planning a trip to the vineyards. Many wineries offer unparalleled views, live music, made-from-scratch food and kid-friendly spaces. 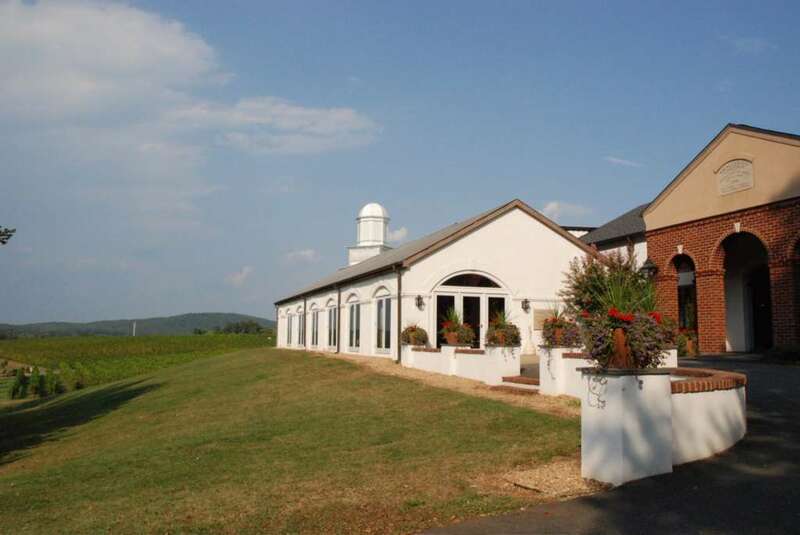 If you’re in search of the best overall experience, McIntyre suggests Glen Manor Vineyards, just south of Front Royal, Virginia. He says the wine is excellent and the hillside vineyards are visible from the tasting room. Plus, there are a number of other wineries close by, should you be looking to visit more than just one. Paradise Springs Winery in Clifton, Virginia, already has a bit of a reputation, but McIntyre said it’s one that deserves more attention. The winery is producing a great tannat, cabernet franc, viognier and chardonnay. In Maryland, Old Westminster Winery and Vineyard is a young family-run operation that’s worth a visit. Can’t spend all day on the road? You don’t have to drive far to find great wine. McIntyre said Chrysalis Vineyards in Middleburg, Virginia, is less than an hour away, as is Boxwood and a few others along Route 50. 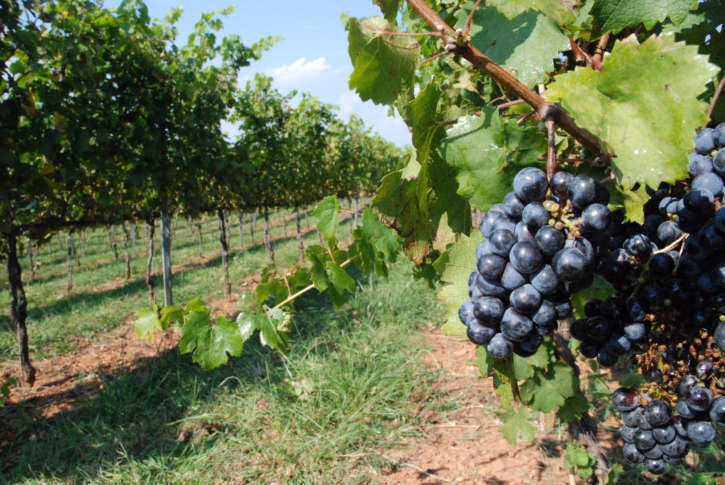 RdV Vineyards, Linden Vineyards, Glen Manor Vineyards and Delaplane Cellars are all known for their reds. A little farther south toward Charlottesville, Virginia, McIntyre said red-lovers shouldn’t miss Barboursville Vineyards, King Family Vineyards, Veritas Vineyard and Winery, Keswick Vineyards and Michael Shaps Wineworks. Visiting the area’s multitude of wineries is a lot of fun, but there are a few things to keep in mind while doing so. Tasting rooms have spit buckets on the counter for a reason, so don’t be hesitant to swirl, sip and spit. “You should spit the wine out when you’re tasting because you need to drive home. And if you’re going to several wineries and tasting several wines at each, you shouldn’t be knocking them back, you should be spitting them out,” McIntyre said. Most importantly, keep in mind that you are a guest at someone’s place of business — and often, it’s someone’s home. While some establishments encourage visitors to bring their own food, it is illegal to bring your own wine. Plus, it’s common courtesy to consume the winery’s own wine while on the property. Many places welcome families, but remember to respect the land. McIntyre has heard stories of children running through vineyards, picking grapes and having food fights. “These are not public parks, it’s not there for the taking.” he said. To help narrow down the region’s options, McIntyre recommends downloading the app, Virginia Wine in My Pocket. Users can search wineries based on a number of factors, including those that are kid-friendly, those that have the best food, and those that are hosting festive events. “I like to think of us as being on the cusp of something exciting here,” McIntyre said about the local wine industry. best vineyards in the DC area best wineries in the DC area Dave McIntyre Food & Restaurant News Latest News Life & Style Living News Local News Maryland News Maryland wine Photo Galleries rachel nania Travel News Virginia Virginia vineyards Virginia wine virginia wineries wineries near D.C.